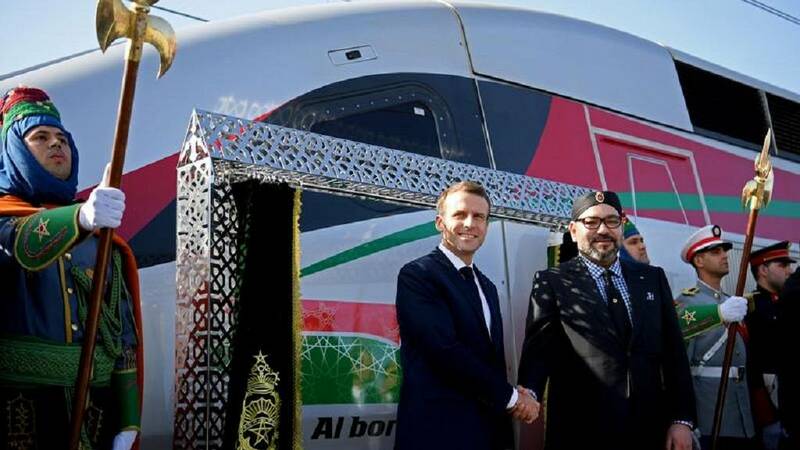 French President Emmanuel Macron and Morocco’s King Mohammed VI inaugurated Africa’s first high-speed train line on 15th November 2018. Tangiers, the administrative capital. 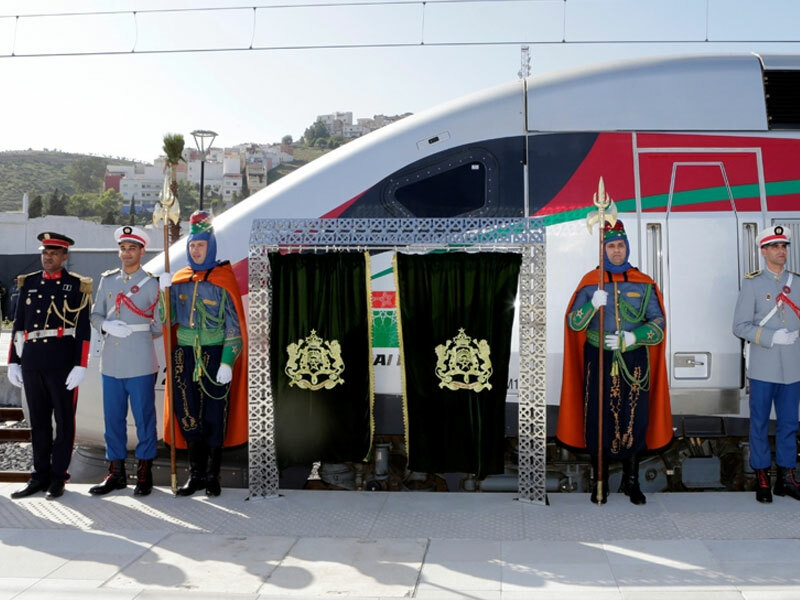 Known as the Tangier-Casablanca line, it has a total length of 350 km, which is set to connect the two most dynamic regions of the kingdom in about 2 hours 10 minutes instead of the hitherto 4 hours 45 minutes. Route map of the Tangier-Casablanca high-speed rail line. Image courtesy of Classical Geographer. 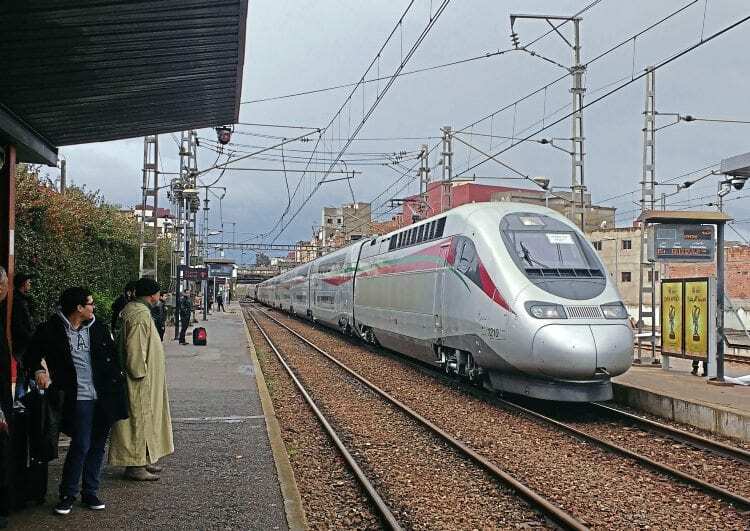 The high-speed train is projected to run at 320km (198 miles) per hour. It slashes the Casablanca-Tangier journey to over half the normal time 2:10 from 4:45. The distance is 200km (124 miles). It is around twice the speed of the second fasted train. South Africa’s high-speed Gautrain linking Johannesburg’s international airport to the city’s financial district Sandton. According to state news agency MAP, it cost 22.9 billion dirhams ($2.4bn; £1.8bn). The line took seven years to construct. Passengers all turn to look at ONCF TGV Duplex set 1210 passing Kenitra Medina with a Kenitra to Tanger driver-training run on January 6.